We are back in Shanghai for the 10th anniversary of the 11.11 Global Shopping Festival. Alizila will be with you until early Monday morning, offering updates about the festival on this page, so feel free to bookmark this live blog. We’re on Facebook, where we’ll be doing some short posts and video segments. You can also follow key moments on our Twitter and Instagram accounts. Just one final wrap-up story to come, but the liveblog is done for 2018. Thanks for reading! The final number is in! 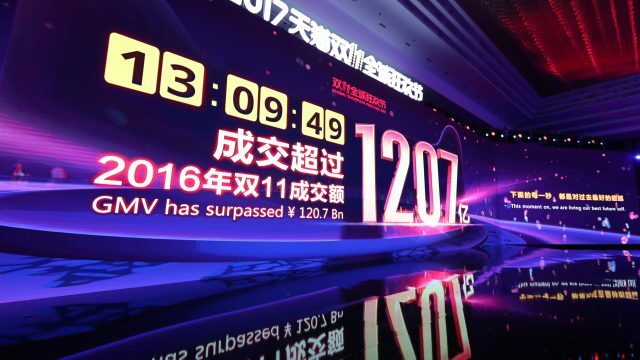 GMV for the 2018 Alibaba’s 11.11 Global Shopping Festival is RMB 213.5 billion, or US$30.8 billion. That’s up 27% year-on-year. More stats to come, so keep checking back. For the first time ever, 11.11 GMV has crossed the US$30 billion mark. But the GMV tracker’s still ticking, so we’re not done yet. We’ll post all the final figures here! The massive volume of transactions that take place on 11.11 translate into a massive volume of deliveries, too. This year, that number translates into more than 1 billion – and counting, as there’s still 25 minutes to go in the 2018 Global Shopping Festival. With about an hour and a half to go, GMV has surpassed exceeded RMB 200 billion. With its campaign for the Alibaba’s 11.11 Global Shopping Festival in full swing, San Jose-based 100% Pure forecasts that its sales will quadruple year-over-year. The natural beauty brand expects to bring in RMB 800,000 ($115,000), up from RMB 200,000 last year. To prepare for what is the biggest shopping event in the world, 100% Pure has stocked up inventory with four times its annual demand, said co-founder and CEO Ric Kostick. 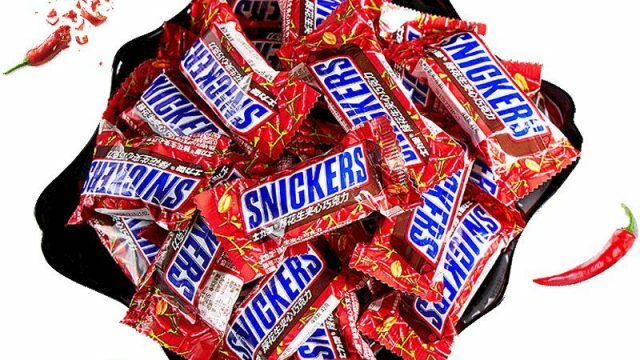 By the first hour of Nov. 11, the brand had surpassed its total day sales from last year, he said. Here’s the full story of how he pulled it off. Behind the eye-popping numbers generated by 11.11, there’s a lot of sophisticated technology to ensure customers get exactly what they ordered and know when it will arrive. To that end, Chinese consumers who order on Tmall Global during this 11.11 are able to use the mobile Taobao app to get shipment updates from the cross-border e-commerce platform. Developed by Tmall Global, Alibaba Cloud and Cainiao, the global tracking system leverages Internet of Things and blockchain technology to enable verification of products and goods via dual authentication and two-way encryption. At the same time, they can track the location of their order in real time through LBS and GPS technology. The new system is the latest initiative from Alibaba’s ecosystem to enhance consumer confidence and build a trusted environment for cross-border trade with end-to-end supply-chain transparency. And there it is. Last year’s GMV record has been broken. During this year’s 11.11, Alibaba has made its Alibaba Wood AI video-editing tool available for brands to generate short videos about their products. The editing tool pulls in key text and images from product pages to create a 20-second promotion video in under a minute. The visuals are matched to the rhythm and flow of background music chosen by an algorithm that factors in human emotions to arouse shoppers’ interest. The tool is aimed at helping small merchants save significantly on the cost of promotions for what is the world’s biggest online sale. Online shopping for foreigners in China can be difficult, especially if you don’t read Chinese. Enter Baopals, a site launched in China in March 2016 to remove not just the language pain point for non-Chinese speakers, but also to help expats navigate an online shopping experience that is otherwise completely foreign to them. Apart from being in Chinese and aimed at Chinese consumers, the Taobao and Tmall sites are what American founders Charles Erickson, Jay Thornhill and Tyler McNew have described as being “busier” than the more spartan-looking, English-language e-commerce sites most foreigners are used to. Because shopping in the West is typically not centered around content, community and entertainment, as the Alibaba-owned platforms are, Baopals gives expats in China a more familiar shopping experience. But the challenge is helping users find and discover the hundreds of millions of hidden gems, and high-quality, interesting products, offered on Taobao and Tmall – all without overwhelming them. Baopals started as essentially a “skin” of the Taobao site, but it has since morphed into an onramp to the Alibaba ecosystem. For customers, it’s a search-and-discovery engine for cool products. Even more importantly, the ability to shop in a familiar language and work through the Baopals platform has helped expats in China engage with vendors and brands more than they otherwise would have. Baopals handles communications with sellers, deposits, logistics and the rest, which builds a trust that’s important to bring shoppers back to the site. “All customers have to do is browse, find what they like and then go ahead and purchase it. Our team takes care of the rest,” Thornhill told Alizila. At about 40,000 users and growing, Baopals has enjoyed what its founders say is some measure of success. And that’s due, in no small part, to 11.11, which is the site’s biggest traffic day of the year. It’s also, as for many participants, an “all-hands-on-deck” situation for the weeks leading up to and during the Global Shopping Festival. This year, Erickson said it was a race to the finish line: Baopals launched its “Discover” social recommendation engine just in time for 11.11. Thornhill said “Discover” lets the “entire Baopals community… start curating and recommending products to each other.” People can find shoppers with similar tastes and follow them and their tagged and categorized collections. “Interesting, stressful and exciting” is how Erickson described the experience of 11.11 for him, his co-founders and Baopals staff. He said it’s an experience you have to be part of to truly understand why it has become the world’s largest single-day shopping event. Alibaba bought a 15% stake in Easyhome last February, marking its latest investment in an offline retailer as a way to bring brick-and-mortar shopping into the digital era. Similar to the work it’s done with RT-Mart, Alibaba has been introducing elements of New Retail at Easyhome locations in China to upgrade the consumer experience. You can catch a glimpse of that upgrade in our “What’s In Store for Alibaba’s 10th 11.11?” video. Now, the US$20 billion milestone has passed. Just a reminder: Last year’s total was $25.3 billion. Want a media pass to 11.11? Here’s what reporters see during the world’s biggest shopping festival. Stay with us. We’ll be back throughout the day with more key milestones, along with interesting facts about 11.11, as it unfolds around the world. The RMB 100 billion mark has come and gone. And now 2015 is in the rearview, too. We’ve hit $10 billion! And did it five minutes and 21 seconds faster than last year. Many more to come – stay tuned! Ten minutes away from the official start of the 2018 11.11 Global Shopping Festival and activities have begun on the main stage at the media center in Shanghai. VIPs are seated and Jack Ma is in the house. We’ll shortly be putting up our live GMV counter that will run through the end of the festival 24 hours from now. Hang in. We’ll be back in just a few minutes as shopping begins. Mariah Carey took the stage as the 2018 11.11 gala entered its home stretch. She sang “Emotions” and “Hero,” both number-one hits in their day, and bantering with one of the event’s emcees, who said the legendary pop diva was someone she had admired when she was young. Carey shared her experience of shopping online with her young children. Shanghai may be all about the glam and glitz tonight, as the gala races toward its third hour. But in Hangzhou, it’s all about the work. Aliren, what we call ourselves at the world’s largest mobile-commerce company, have their rally caps on and are ready to go when the clock strikes midnight. Here are some scenes from Xixi campus ahead of the biggest 11.11 we’ve ever put on. Chief People Officer Judy Tong reviews the troops. A southern Chinese treat, “Dingshengao,” for Aliren while they work. “Dingshen” means “must win” in Chinese. Coco Lee took the stage at the 2018 11.11 gala a few minutes ago with a bilingual Disney medley, to the delight of the crowd. We’re past the halfway point of the gala. Earlier, Naomi Watanabe – often called “the Japanese Beyoncé” – wowed the crowd with pop singing and dancing, which you can see below. And Cirque du Soleil performed a gravity-defying routine, drawing oohs and ahs for their acrobatics. The 2018 11.11 Countdown Gala is underway. There will be a star-studded cast onstage for the next four hours, playing to a full house at Shanghai’s Mercedes-Benz Arena, the beginning of a celebration of the world’s largest shopping festival, which commences at midnight at the nearby media center. Performers include Naomi Watanabe, Jay Chou, Mariah Carey, Coco Lee and Cirque du Soleil. And here’s a short video that offers a look at the gala venue. Ordering for Double 11 from overseas and don’t speak Chinese? No problem. To help global shoppers enjoy the upcoming Festival, Alibaba has rolled out several options. A self-developed AI translation tool aims to remove potential language barriers between sellers and buyers. The online chatroom tool, launched on Lazada last week, supports instant translation between English and Thai, English and Vietnamese, and English and Indonesian, three of the languages used in the Alibaba unit’s six Southeast Asia markets. Meantime, AliExpress, Alibaba’s global online retail platform, is also offering an AI translation tool that links English speakers with speakers of Chinese, Russian, Spanish, French, Arabic and Turkish. In addition, over 800,000 merchants on Taobao and Tmall will deploy Dian Xiaomi, an AI-powered customer-service chatbot, to handle customer inquiries during the festival. Just over five hours to kickoff of the 2018 11.11 Global Shopping Festival, and Alizila is setting up in the media center – our home away from home for the rest of the weekend. A few short hours from now this room will be filled with journalists from around the world and across China, here to report on the world’s largest shopping event. From midnight, the orders will start to pour in and the onscreen numbers will roll for 24 hours, and we’ll be providing you with regular updates. Back with you soon. In the meantime, hat tip to Alizila’s Ivy Yang for shooting this short video tour of the media center and the showcasing of our Alibaba ecosystem. 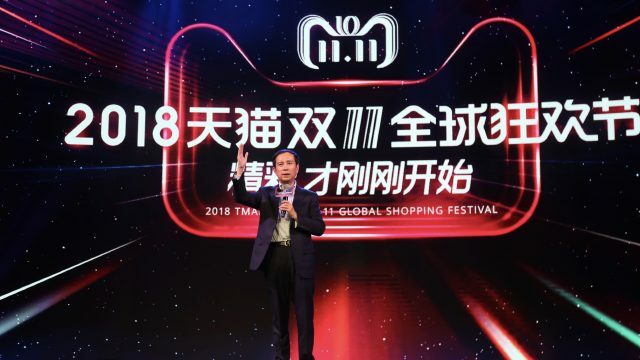 The 11.11 Global Shopping Festival is steeped in tradition: huge discounts, innovative marketing, new products and, of course, the annual Countdown Gala. This year is no different. The four-hour gala kicks off at 7:30 local time, with a packed lineup of international stars and acts, including Mariah Carey, Cirque du Soleil, Allen Iverson, Miranda Kerr, pop stars Jay Chou and Coco Lee and many, many more. Some of the stars appearing tonight met with reporters during rehearsals on Thursday evening, offering a look at what they have in store for viewers. Cirque Director of Creation Chantal Tremblay said the acrobatic troupe, known for its “Water” and “O” shows, among others, had come up with a special number just for the 11.11 Gala. She promised a five mines and 34 seconds of aerials, trampolines, original music and 30 local dancers. “It was done just for this [show], but it represents our creativity and innovation,” Tremblay said. Cirque has appeared at mega-events before, not least the Super Bowl Half-Time Show in 2012 and the Academy Awards in 2002 and 2012, but the 10th anniversary of 11.11 was special, Tremblay noted. “We’re an international company, and we do shows in many places, and for us to be able to come here and be a part of this gala was really important,” she said. “They’ve always been supporting me from day one, and they’ve continued to do that even [after] retiring, and in the aftermath of my NBA career they’ve always still continued to support me and support everything I do,” Iverson said. 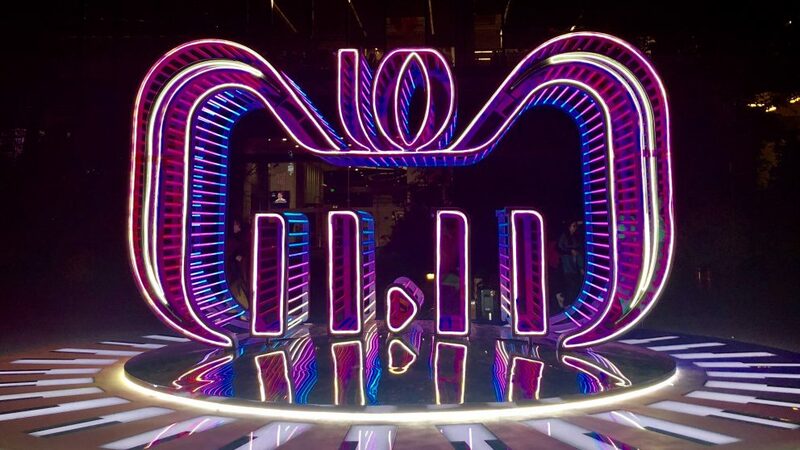 The venue in Shanghai for tonight’s Countdown Gala, with the slogan for the 10th annual 11.11 Global Shopping Festival out front: It’s just the beginning. Another Asian pop star, Coco Lee, will perform. She has partnered with Disney on a medley of the entertainment giant’s most-famous move ballads, including Mulan, Frozen, The Little Mermaid and … the rest will have to wait until the show. Dancers and movie scenes will accompany her performance, Lee said. “For me this is like a childhood a dream come true,” she said. “I grew up with a lot of Disney animations and movies … I felt honored when Disney approached me” about performing at the gala. We’ll be following the gala for all four hours, so be sure to check back for exclusive photos from the show. The energy at Alibaba Group picks up every year as the 11.11 Global Shopping Festival approaches. Nowhere is it more palpable than on Alibaba’s Xixi campus. Like the annual lighting of the Christmas tree in Rockefeller Square, the main buildings at the Hangzhou campus are bedecked with lights and decorations to dazzle passsersby after dark. Have a look at this year’s light displays – and prepare to be dazzled. The WHO calculates there are around 282 million blind people in the world. The number in China is 17.31 million. 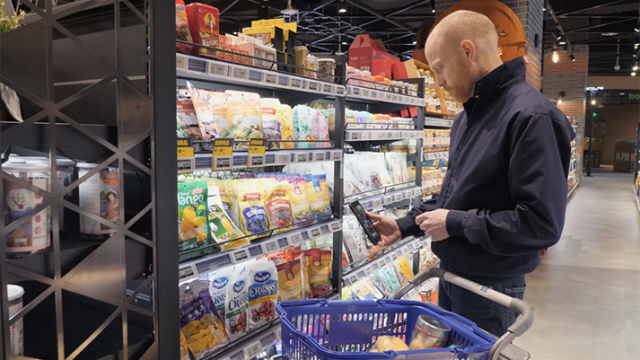 As more people enjoy the convenience of shopping on their fingertips, Alibaba wants to make the mobile shopping experience more-inclusive for this particular group of consumers during this year’s 11.11 Global Shopping Festival. There’s also an ear touch feature to facilitate information extraction from mobile screens by placing the phone against your ear. Alibaba hopes to redefine mobile phone interactions for visually impaired people with Smart Touch technology. The AI shopping agent is expected to be officially launched early next year. Click here to find a short video to see how the technology works. Here are some fast facts & figures on deals launched ahead of the 11.11 kickoff at midnight Sunday. Thirty-three brands on Tmall have already reported RMB100 million in pre-sales. 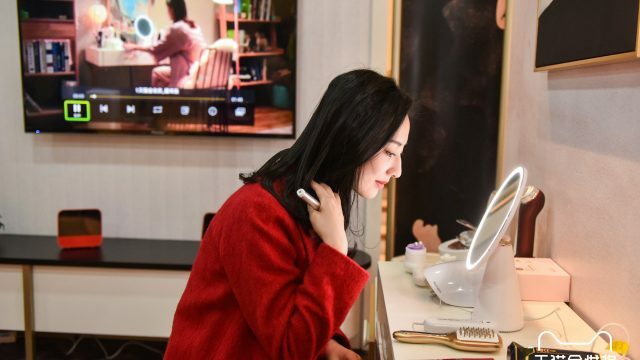 The pre-sales value of consumer electronics on Tmall have increased nearly six-fold, year-on-year, with popular brands including Apple, Huawei, Haier, Xiaomi, Midea, Siemens, Gree and Dyson. 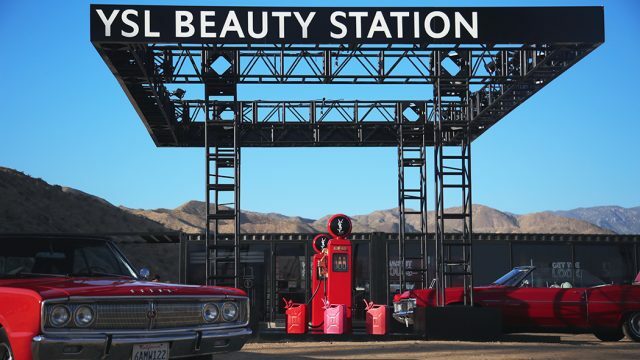 Overall pre-sales turnover of beauty care products has doubled from last year, with pre-sales of 12 brands each topping RMB100 million, including Lancôme, Olay, Estée Lauder, SK-II, L’Oréal, Snow Show, Elizabeth Arden and Shiseido. And pre-sales aren’t just soaring for consumer electronics and beauty products. Cars are proving to be another popular offering. Buick pre-sold 7,000 vehicles in a week. 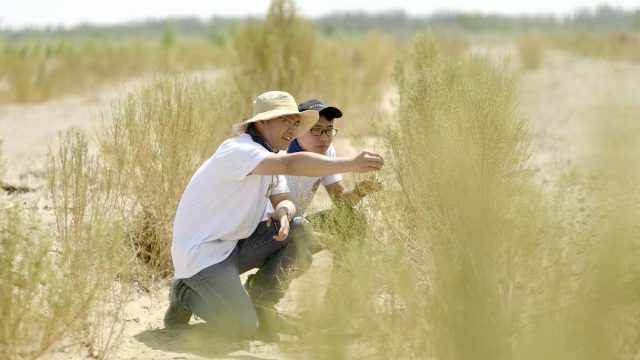 Of those, over 1,000 were purchased by villagers with the help of “Rural Taobao representatives” at Rural Taobao village centers, a network Alibaba built to promote trade between China’s rural and urban regions. Additionally, 90 Land Rover vehicles worth RMB265,900 were pre-sold. In other categories: Five-star hotels, such as Marriott, Hilton, Hyatt, and Intercontinental, have collectively pre-booked 350,000 nights; Burberry’s limited-edition wool scarf sold out on the first day of the pre-sale; and New Balance sold more than 60,000 pairs of new arrival shoes on Tmall. 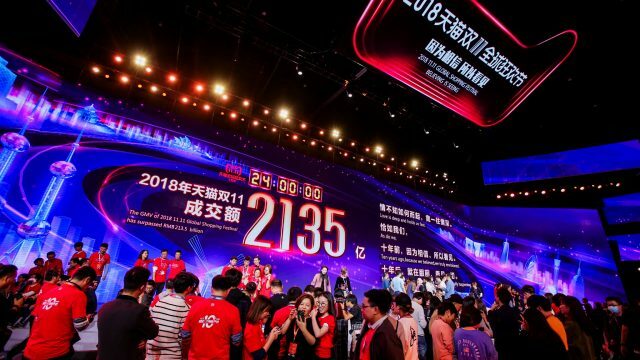 We’re under 11 hours away from the start of Alibaba’s 11.11 Global Shopping Festival. Already the world’s largest shopping event, this 10th anniversary will be bigger and reach farther than ever. We kicked things off late last month at a press conference and Tmall “See Now, Buy Now” fashion show in Beijing. This year, it’s all-in for Alibaba’s ecosystem, with 29 business units taking part. New Retail and local services, such as on-demand food and beverage delivery via Koubei and Ele.me, will be front and center. Here’s a video about what you can expect at this year’s festival. 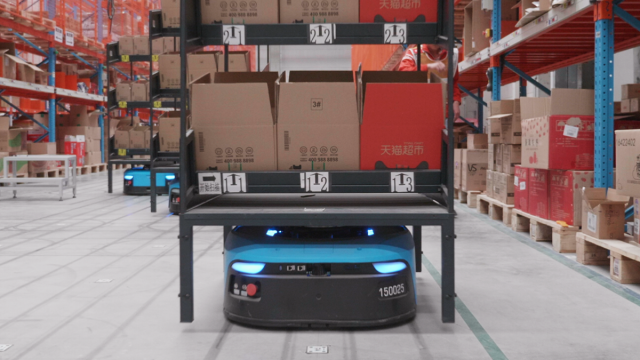 Alibaba’s Cainiao logistics affiliate is gearing up for 11.11, rolling out a host of initiatives – and, not least, a number of advanced technologies – to meet the challenge. Vice President Ben Wang talked in detail about how Cainiao’s preparations in this video. And you can see some of the company’s most-advanced logistics at work in this robotic factory. Even if you’re not a logistics bug, the video is just plain cool. 11.11 has come a long way in the past 10 years. We look at its evolution in this video. And stay tuned for more over this weekend.